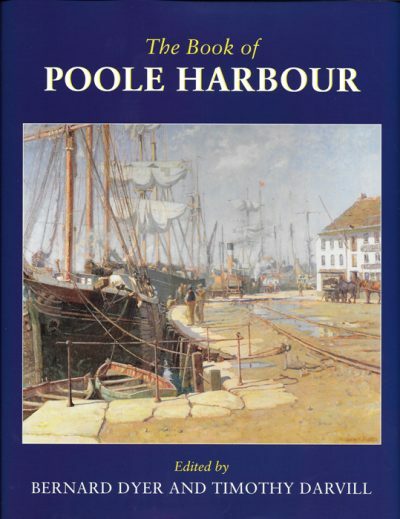 The late BERNARD DYER, joint editor, was President of the Poole Maritime Trust and Chairman of the Poole Harbour Heritage Project. During the Second World War he served with the Admiralty (at the Royal Naval Cordite Factory, Holton Heath) and the RAFVR, and joined ICI as an industrial chemist in 1946. He was an Honorary Doctor of Science at Bournemouth University and an Honorary Fellow of the British Association for the Advancement of Science. He was a Member of the Parliamentary and Scientific Committee and Chairman of Dorset Life – The Dorset Magazine. Until his death he lived on the edge of Poole Harbour, and was an influential advocate for the need to conserve and protect it. TIMOTHY DARVILL OBE, joint editor, is a prehistorian specialising in the Neolithic of north-west Europe. He is Professor of Archaeology in the School of Applied Sciences at Bournemouth University. The author of a dozen books, including The Concise Oxford Dictionary of Archaeology, Stonehenge – the biography of a landscape and Prehistoric Britain, he has served as Chairman of the Institute of Field Archaeologists and was a Member of the Council of the National Trust. Professor Darvill is Vice-President of the Society of Antiquaries of London.